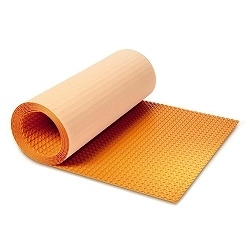 Premium unmodified thin-set mortar for use as a bond coat within tile assemblies that is optimized for use with Schluter membranes and boards. 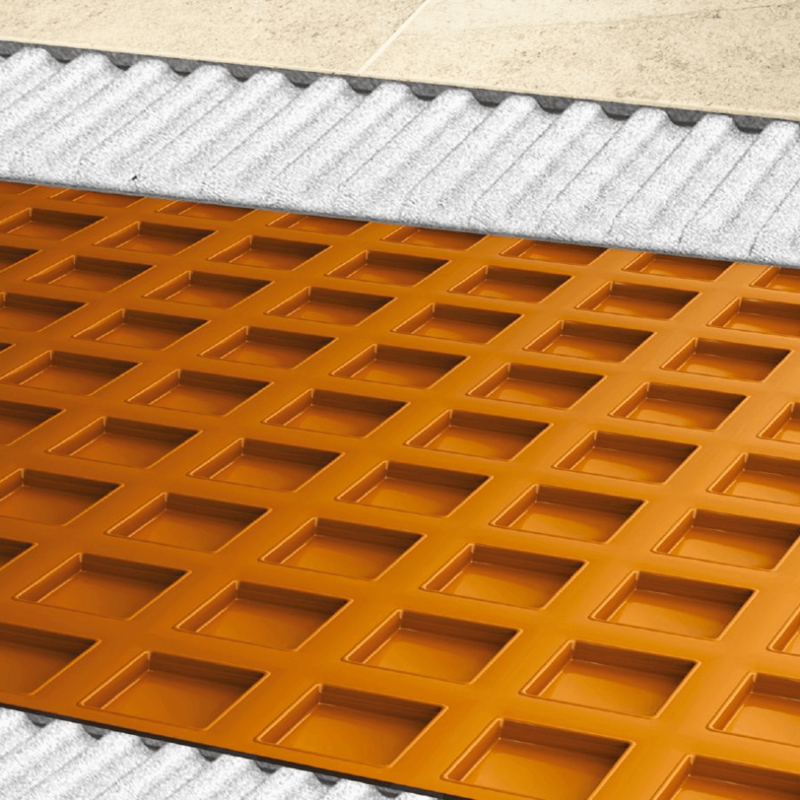 Use the white version for applications where the color of the mortar affects the aesthetics of the installation. 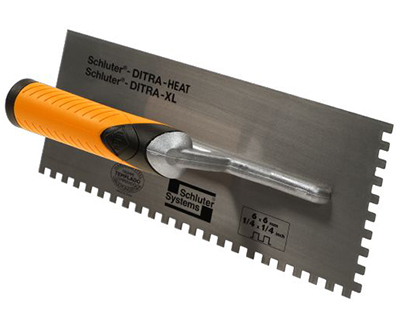 Schluter SET is not suitable to bond to plywood or OSB substrates. 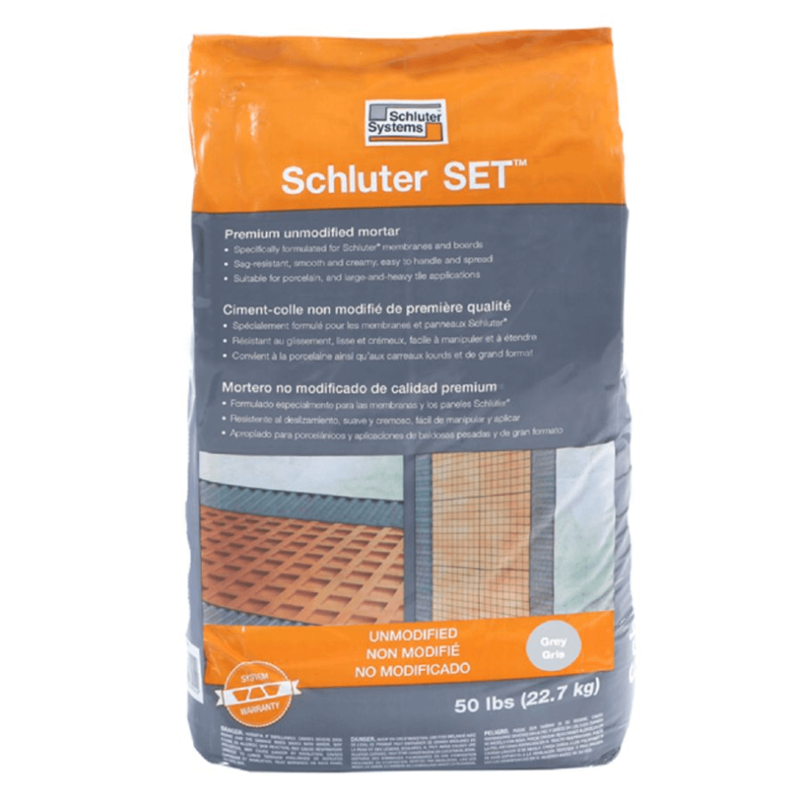 Use Schluter ALL-SET or Schluter FAST-SET instead.